The number of people suffering from diabetes in the United States grows larger every year. For many people, diabetes can become a stumbling block when trying to lose weight, but it doesn’t have to be. A diabetic diet is not as difficult or restrictive as you might imagine. The biggest hurdle for losing weight with diabetes is that not only do diabetics have to eat at regular intervals throughout the day, but they also have to ensure that they are getting the right balance of sugars. 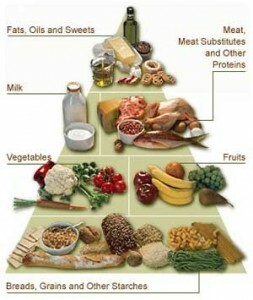 Balance is the key for a diabetic diet. Though many studies vary slightly, most agree that 40% to 65% of a diabetic’s calories in a day should come from carbohydrates. These carbohydrates can include bread, rice, pasta, any grain based foods. Some doctors recommend diabetics to have food with them at all times that can raise their sucrose levels quickly if their blood sugar levels get too low, then to eat a long-acting carbohydrate like Rye bread, to keep the levels steady. Other than carbohydrate intake, there are no commonly accepted principles to follow for a diabetic diet, other than timing. Meal timing is incredibly important for diabetics, as their body cannot maintain proper blood sugar levels. Unfortunately, the timing is different for each person depending on both their own body and severity of diabetes, as well as the insulin they are currently using. Some medications allow users to go longer periods without food and some can required eating small meals throughout the day. If you are looking for a rubric to follow for a diabetic diet, one option is the 1200 calorie diet for diabetics. This diet claims that 55% of your daily calories should come from carbohydrates, about 660 calories. It also recommends eating about 180 calories worth of protein and 360 calories worth of fats. Although some people may think 1200 calories a day is too much when trying to lose weight, the calorie count itself is not really all that important. For those without diabetes, as long as you are exercising regularly and eating healthy foods, you will lose weight eating 1200 calories a day. For those with diabetes, you cannot go without food, extreme dieting is just not possible without serious risk. Following the 1200 calorie diet would require doing some research on the foods you eat and some planning. But for diabetics, planning out meals will be a part of everyday life for the rest of their lives.